It’s a big weekend for sophomores, colts and fillies, pacers and trotters. As June dawns, so do hopes of greatness for the season, now in bloom, for all glamour divisions. 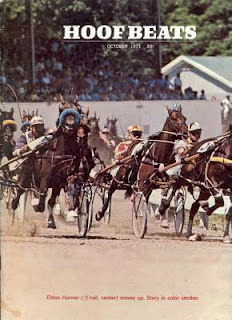 As usual this time of the year, we continue to cover the trotting divisions in our exclusive blog, the Hambletonian Trail. Get to TwinSpires for wagering all of the great races leading to the Hambletonian and “Oaks” and read all the result stories at Hambletonian Society’s exclusive “trail” section. This week has already produced seven races, all sires stakes, filled with Hambo hopefuls which we promoted in the trail blog. Bookmark that page, visit it regularly as a multitude of races pour out of the spring-summer schedule leading to one of the biggest days in harness racing, the first Saturday in August. Pacers a-plenty are pounding the limestone on both sides of the borders, including sires stakes in Pennsylvania and New Jersey and the Art Rooney Memorial Pace and Lismore Pace at Yonkers, also sophomore events. The Somebeachsomewhere stakes at Mohawk is a soph-pace open but pits colts and geldings against one another in the first major glamour-boy pace stake of the year. Four-year-old-and-up pacers go for a whopping $200,000 in the Dan Patch at Hoosier Park, the sole pace with a big purse on the weekend agenda for elders. We never give up at Cal-Expo, where TwinSpires-Cal-Expo’s exclusive no-takeout Pick 4 includes races 11 through 14. A detailed report is included below. Pennsylvania Sires Stakes (PASS) offers colt pacers five digits for each division at the Meadows on June 1 as the state-bred series ensues. In the first split, worth $93,645, we lean towards an improving colt, El Bravo. Aaron Merriman will be aboard to take this colt screaming from the gate. Last out he was burned to the half racing against the sub-1:50 Sweet Lou at Pocono. Here he might be about to have his own way, even from start to finish, and at a price. The prodigy himself, Sweet Lou, is the centerpiece of division two. Can he win every race from now on simply on his miracle speed? Time will tell about every race but he is certainly lengths ahead of this group. A pass on this PASS is best. A sharp outsider in split three comes to us in Bakin On The Beach. Toss that last race and his Philly conditioners are worthy of the competition here. This is a ragged group and there is no reason to cry favorite. At the Meadowlands on Saturday, June 2, New Jersey Sires Stakes (NJSS) soph colts and fillies finalize the first round of this program with a pair of $150,000 miles (see the NJSS trotters on the trail page). In the colt pace, A Rocknroll Dance is the definite favorite. Brent Montana and I Fought Dalaw may be able to get the best of him, however. Brent Montana always gets into the race but does his best when closing. If he is near the pace late, he may be able to close at a price. I Fought Dalaw was an easy winner from post 9 last week but may not get bet as he did then with A Rocknroll Dance in the same field. The filly division features Pirouette Hanover, who skipped the second leg after winning the first. Vy Hanover may be able to improve off her poor effort last week. She was boxed in and couldn’t close and seems to do better from posts 2 or 3. She draws post 3 this week and may get the best of these gals. Named after one of the sport’s fastest pacers of all time, the Somebeachsomewhere Stakes on June 2 at Mohawk is an event yet to produce the freak that was Somebeachsomewhere. This is a prep for the $1.5-million North America Cup, which holds elims on June 9. Two $100,000 splits offer cunning colts a chance at living up to his sensational miles. Trainer Casie Coleman brings the Upper Canada Cup-winner, Michaels Power, to one split. She called his performance there “phenomenal” and this lightly raced colt gets to shine in the second division. He may be the key horse to use, though a win bet may not be available at a price worth playing alone. In exotics, then, use Dapper Dude. In the first division, we like Thinking Out Loud and Escape The News, the latter which should offer the best win price. He is Joe Holloway’s charge and in this lighter field of the two divisions could surprise with a big mile. 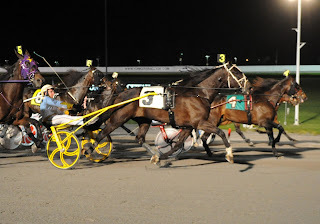 Two compact fields comprise this season’s Art Rooney Pace and Lismore Pace for the glamour boys and girls of pacing at Yonkers Raceway on June 2. Six go in the $306,204 “Rooney.” Hurrikane Kingcole is the top dog here and he doesn’t have much to beat as he becomes better each week. But also on the improve is Pet Rock. Joe Holloway’s student was a disappointment last week but may have better strategic dynamics on the half-mile. Brian Sears is worth adding to the possibility of an upset. The $176,484 Lismore Pace has only five in the field and Handsoffmycookie as the 3-5 morning line choice. Fast and able to steal this, we will still take a chance to beat her with Jamie Sue. Trainer Mark Ford has had this gal cooking so far this season and with a decent trip she may pace away in an upset. On Saturday, June 2 some of the top pacers have been invited to the $200,000 Dan Patch four four-year-ols and up at Hoosier Park. Golden Receiver is the likely favorite coming into the event. Special T Rocks and Rockincam might be able to get their shot in the spotlight, having good chances of beating the top pacer. Special T Rocks beat highly buzzed We Will See in an Invitational at the Meadowlands last week and he did it with ease. He has been a valiant pacer throughout his campaign and his biggest victory may come tonight. Rockincam was one of the favorites coming into the Graduate but did not seem right in the final. He comes into this event looking to rebound and may be able to do so with care from post 9. Race 10 through Race 13 make up June 1’s no-takeout Pick 4. Let’s look at some likely contenders that could make it a worthy hit. (6) Take No Prisoners was gaining well last week and seems to be fit the best for this outing. There are few cases for the others. (1) Laughs Last was gigantic last Friday, eating up real estate like he was pacing downhill. Why not another big mile? (3) JC’s Lucky Dreamer was not himself as the favorite and may feel better going with these. (7) Gentle Dragon fought hard at 4-1 going three wide to battle. (4) Hezadilly just missed and may not miss here. (6) Muzhik Hanover was a strong-closing second at 5-1 and could topple this bunch with some luck. (5) Paul The Powerful is hard to deny again this week. He was used twice to go wire to wire last out. (6) Bo Knows Power finished seventh but was hard pressed to get the lead early, which was a tiring chore. He may be a better price here; certainly not the choice. I love this kind of information, a post that can provide the readers with relevant information that is quite educative. I have not been to this kind of a post lately, i am glad that i did since it is very professional and relevance. people have been on the look out for the best Project primary data analyzing services, which they find at our firm. We do offer the best services, which never give clients a reason to doubt our professionalism. Such a great article.Your blog posts are more interesting and impressive.It is really useful to me and all people.Please visit our site tv price tracker tool .Thank you. Great post. I was checking continuously this blog and I am impressed! Very useful info you have here. I was looking for this certain information for a very long time. If you seeking for exceptional assistance in writing your thesis as graduate student then we offer the best thesis help at affordable rates, come visit us today. This is one of the games that I never get tired of watching. I can't believe that I missed this particular game. Feel free to click on Rewrite My Essay for top quality help with rewriting essays.